Addiction is our biggest public health crisis. By learning the facts about substance use disorder, you're helping to reduce the stigma that prevents so many people from seeking the care they need. Thank you for taking this important step to ending the impact of addiction in your community. Addiction is a misunderstood disease. It’s time to get the facts. This lesson introduces the science of addiction and how the brain is impacted by alcohol and drug use. Addiction is a chronic disease like hypertension, diabetes, and asthma. The disease of addiction is caused by a substance’s powerful effects on the brain. Addictive substances hijack the natural dopamine survival system in the brain. This causes the brain to believe the primary need for survival is the drug. Addictive substances impact the decision making and control portions of the brain. It’s not just a choice. Science has discovered three key risk factors. Learn the risks, signs, and symptoms of addiction. Explore the risk factors that make someone more prone to addiction. The primary risk factors for addiction are biology, environment, and development. The earlier the age of first exposure to a substance, the increased likelihood of developing an addiction. Being aware of physical, biological, and psychological signs and symptoms of addiction can help you help a loved one sooner. End the shame. Stop the stigma. It’s not about being polite, or politically correct – it’s about saving lives. The stigma that surrounds those with a substance use negatively impacts their ability to seek treatment and get well. Stigma and shame negatively impact the ability of someone with a substance use disorder to get well. Stigma and shame hurt families by impeding their efforts to seek help. Some institutions including employers, criminal justice agencies, and healthcare institutions have traditionally stigmatized those with an addiction, but that is changing. Addiction, specifically the opioid epidemic, is making headlines every day. We can address it through education about opioid dangers, good choices for non-opioid pain management, and teaching overdose first aid. Aggressive marketing by pharmaceutical companies in the late 1990s coupled with regulatory pressure on healthcare providers to better manage patient pain helped to fuel opioid overprescribing. It is important to pay attention to the medications prescribed to you and your family. Ask questions of your doctor and pharmacist to make the best choices. If you know someone who takes prescription opioid medications or uses heroin, you should carry naloxone to reverse an overdose. Discussing pain management options with your healthcare provider can help mitigate risks of opioid exposure. Learning to administer and carrying naloxone can help to save a life. How Many of These Addiction Myths Do You Know? Separate the myths from the facts. Is addiction a character flaw? If someone relapses, is it a failure? Myths about addiction are so common. Get the facts. Addiction is not a choice or a character flaw, it is a chronic disease. People can recover from addiction. All treatment programs are not equal. Relapse is common and does not mean failure. Prescription medications can be harmful even if taken as prescribed. 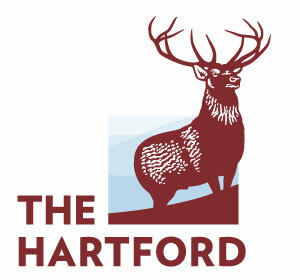 FDA approved medications are effective in treating opioid addiction. What is the Impact of Addiction on Families & How Can You Support Them? What is the Impact of Addiction on Families and How Can You Support Them? Addiction affects the entire family. The worry, stress, and strain of a loved one’s substance use disorder can take a devastating toll on families. Learn how to provide support. Family members and friends caring for or worried about someone with a substance use disorder need support and guidance. Emotional, practical, and informational support allows those who care for or are worried about someone suffering from addiction take better care of themselves and the individual with the substance use disorder. Entire families are negatively impacted by a loved one’s substance use. Confusion, isolation, stigma, and shame make it even harder to deal with the stress. Emotional, practical, and informational support is needed for those caring for or worried about someone with a substance use disorder. Change is hard. But it’s possible. Everyone with addiction has the potential for recovery. Learn about how to show support for another’s treatment and recovery journey. Movement through the stages of recovery is not linear and can be frustrating for everyone. Being aware of the stages of relapse - emotional, mental, and physical relapse – can help prevent a relapse from occurring and can provide support in adjusting treatment. Explore ways to manage the conversation around addiction. It’s a hard conversation to start. Learn how to talk to someone about their addiction, and how to discuss your situation with an employer. It can be difficult to start the conversation about their addiction. This lesson focuses on conversation starters that promote empathy and how to be a good listener. Once you begin the conversation, you may want to speak with your employer about how to access resources available to you. Being a good listener, making the conversation about your loved one and not yourself, will produce a better outcome. Don’t just listen, observe tone, pay attention to body language, check understanding, and keep the conversation positive. Prior to speaking with your employer, review company policies, prepare, bring notes, consider how to address your workload, and be positive. Understand the key elements of quality care. Finding the right treatment can seem nearly impossible. It’s hard to know who to trust and where to find evidence-based resources. By looking for these elements you can find quality treatment. The National Treatment Locator – findtreatment.samhsa.gov and at 1-800-662-HELP (4357) from SAMHSA is available to help you find a treatment provider. 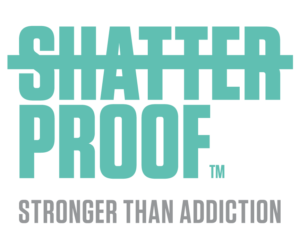 To join a community of others impacted by addiction look to Shatterproof.org.